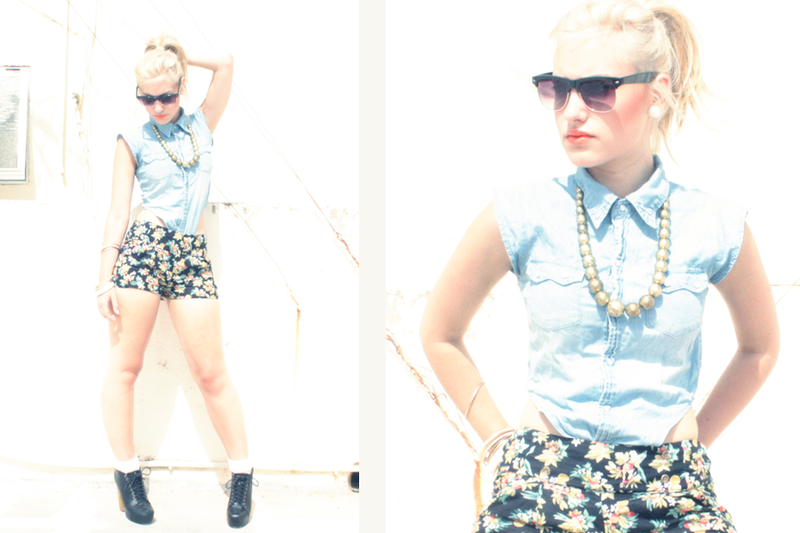 Today's Post is all about that vintage look, I have been sporting this vintage looking look for awhile now. My Cateye Sunglasses came in the post just after i took these photos so stay tuned to an OOTD with them very soon. These Days Denim and Floral Prints have been the IT in the bowl of fashion, wherever you go, catwalks, clothing stores it is everywhere! As for beauty, just added a BRIGHT NEON orange lipstick to the mix to give it that retro look. I couldn't help it but i just had to add my gorgeous Campbells to the outfit. Finishes the look off gives it that edgy look. WHAT ITEM THIS SUMMER CAN'T YOU LIVE WITHOUT? Love the denim shirt and Campbell's! Absolutely lovely!